Patrick James Cummins, better known as Pat Cummins is an Australian cricket player who was born on May 8, 1993 in Westmead, Sydney. He is a right-handed batsman and a right handed fast bowler. In his team, he plays as a fast bowler and on some occasions as an all-rounder. Cummins made his debut in Test cricket an extremely young age of 18, a feat very people have achieved so far. Patrick idolized the Australian fast bowler, Brett Lee and played as a fast bowler in his junior cricket days for the Glenbrook Cricket Club. He then made his entry in first class cricket in 2010, playing for Penrith. The 2010-11 season was the best season for his domestic cricket and he emerged as the leading wicket taker in the T20 Big Bash League 2010. This included his four wicket haul as well against Tasmania. Later in his career, he represented Sydney Sixers, Perth Scorchers and Sydney Thunders in the Big Bash League and the Kolkata Knight Riders and Delhi Daredevils in the Indian Premier League. Pat made his international debut against South Africa in the year 2011. It was a two match T20 series and he took 5 wickets in total, two in the first and three in the second match. He made his ODI and Test debut in the same year in October and November simultaneously. 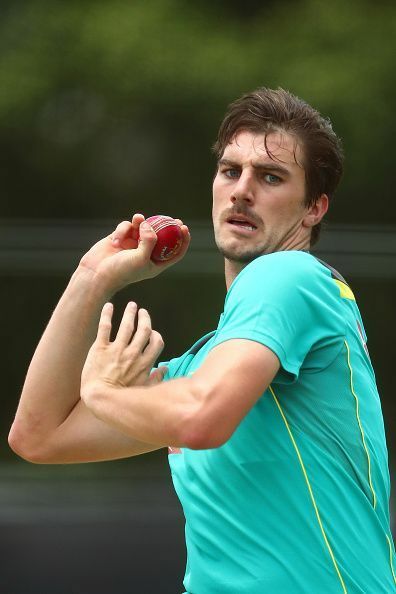 While he picked up three wickets in the ODI debut, Cummins got seven wickets in the test against South Africa, which included his maiden five-wicket haul. When Cummins made his debut in Test cricket against South Africa in 2011, people expected too much from him. But he didn't let those people down and bagged the Man of the Match award in his first test. He suffered from injuries after that but made fantastic comebacks every time. His ODI economy rate stands at 5.41, whereas T20 economy rate stands at 6.84, both of which are above average figures. More importantly, he has an economy of 2.89 in Tests which too good for a player who has made numerous entry and exits in the squad. When he was called in for the final test match of the Ashes 2017-18, he again proved his skills by taking eight wickets in the match and the Man of the Match as well. Ever since Cummins made his international debut, he has been battling with injuries every now and then which led to his dropping out from squads of the national team. The most prominent was his back fracture which caused a lag of five years in his test career. Pat Cummins has represented a number of clubs and is an active player of the Indian Premier League and the Big Bash League since 2010. It is very rare to find his matches without any wickets being taken by him. In 2017, he joined the Delhi Daredevils in the IPL and performed extremely well in the season. He was sold to Mumbai Indians at a price of Rs 5.4 crore in 2018 IPL auction. His base price was Rs. 2 crores, and his auction saw a battle between Chennai Super Kings and Mumbai Indians to grab the Australian pacer. ICC Test Rankings: Who were the biggest movers after Sri Lanka's historic win over South Africa?